CG Says: The 2019 Fiat 500 revives its throwback 1957 Retro Edition. Last seen in 2016, the 1957 Retro Edition adds trim that recalls the first Fiat 500 of that year. Otherwise, the 500 is unchanged. The Fiat 500 is a front-wheel-drive subcompact available in two-door hatchback and convertible bodystyles. The 500 Cabrio is an unconventional convertible with a power-operated fabric panel down the middle of the car that retracts on fixed roof rails. 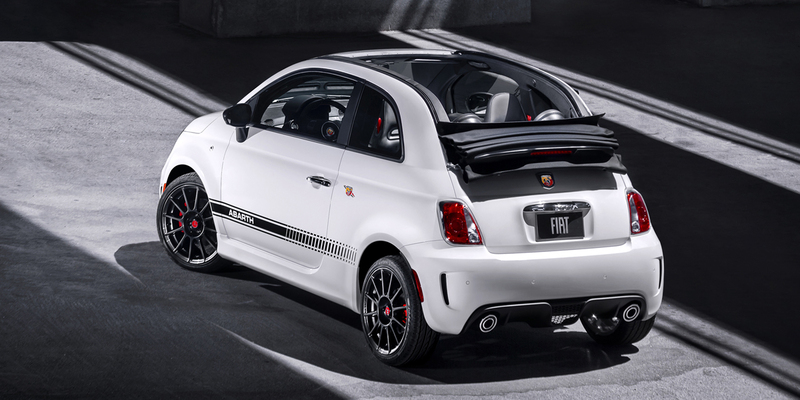 All 500s are powered by a turbocharged 1.4-liter engine that is tuned to produce 135 horsepower in base models and 160 hp in the sporty Abarth. Five-speed manual and 6-speed automatic transmissions are available. Because of its nimble handling, we put 500 in our Sporty/Performance Car category. Even the most basic Fiat 500 is brimming with European personality. All are fun to drive, with the high-performance Abarth being among the most engaging cars in its price class. We especially love that model’s throaty exhaust. High-end versions of the 500 are on the pricey side. Further, Fiat recommends premium-grade gasoline for all 500s, even standard versions, which increases operating costs a bit. Still, the wide variety of models and features means there’s a 500 that can suit pretty much any taste.